With summer fast approaching, I've got lots of exciting things going on in London to share with you all. In collaboration with Farfetch, who launched their beauty section just this year, I thought I'd do something a bit different, and share with you my summer skincare secrets to make sure you're all looking and feeling great whilst you have fun in the city sun! 1| Night Owl/Night Oil For me, overnight is the best time to kick start your skin care regime. Not only will you be bare faced (or you should be!) but you'll be asleep, meaning you won't be tempted to fidget with any product that you've put on. Sleeping means that you're guaranteed a minimum of 6-8 hours to treat your skin to a rich and stimulating product such as this. Although, I've heard your sheets might need protecting from the blue tint! I find nothing wakes me up in the morning quite like a refreshing shower, and after a shower is the perfect time to exfoliate. The time and hot steam from showering will cause your pores to open up just enough for a dry scrub like this one to be able to clear out impurities, and adding water will cleanse them away, giving you the perfect blank canvas to start your day with. There is nothing nicer than treating your skin to a mask. Not only will a deep moisture mask help you replace the oils and moisture that you sweat more of during summer, but putting on a mask forces you to take some time to sit back and do nothing! It's my form of meditation, the perfect way to pamper your mind and body! Lately, I'm finding myself making my own skin care treatments more and more. Considerably more economical, natural and super fun, it really can only be a good thing to try your hand at doing it yourself. If you follow me on Pinterest, you'll know that I've been pinning loads of homemade beauty treatments (if you're interested I can even post on how I'm getting on with them, let me know in the comments!) and summer is the perfect time to start because there is an abundance of produce ripe and ready to beaut-ify you! Pure rosewater, like this one, is one of the most sought after natural beauty products and will definitely become a staple in your DIY kit. There are few things in the world that feel better than getting home from a hot, sweaty, polluted, rush hour train ride and ridding yourself off the sweat, grease and grime of the day. Invest in a good cleanser, one that feels like a treat rather than a chore, and your skin will thank you. A good facial moisturizer with an SPF does the hard work, so you don't have to. This is such an easy step to add to your routine and one that could literally save your life... and yet so many people overlook it. The skin around your eyes is so delicate and sensitive that it really makes absolutely no sense to treat them with something as solid as metal, but it works! Whilst gaining all the benefits of an eye cream to protect and treat this sensitive area, one with a metal applicator provides an instant cooling effect, soothing down those hot puffy eyes that overheating tends to encourage. As one of the parts of your face that naturally protrude the most, it's so important to protect your lips from the hydrating and damaging effect of the suns rays. Not only will a lip balm like this do you the world of good, there's something about topping up your lip balm that will make you feel prepared and in control too! When the weather is hot, humid and heavy the last thing you feel like doing is suffocating your skin with a foundation. A tinted moisturizer like this one provides the perfect balanced solution, whilst not as full coverage it does help to even out your skin tone whilst allowing your skin to breathe. I've heard such incredible good things about this product, and the shimmer sounds just perfect for enhancing that natural summer glow! One of the things you'll hear most often about summer skin care is to apply SPF, and then re-apply again, and again, and again! And whilst in theory I'm all for skin protection, it becomes a bit trickier when you throw a full face of make up in to the mix. But I have found the perfect solution, and it comes in compact form! Powder foundations that contain SPF provide the perfect way to reapply your skin protection and touch up your face, all in the same product. This secret is an absolute life saver... in more ways than one! There really is no other way of saying this, it's probably the most repeated beauty secret ever and yet the most overlooked. Not drinking enough water is something I'm definitely guilty of and something that I am going to make sure I remedy. You could apply all the products in the world on top of your skin but ultimately nothing will do it as much good as looking after it from the inside! Love style of your blog. So many great quality products! I would like to try all of them. Stunning selection Raj! Your beaty picks look awesome! I need to check out those powder foundation with SPF. I also need to drink more water! Great post! really wanna try that exfoliater! Great products!!! Thanks for sharing your tips!! My summer skincare routine is pretty non existent right now, so this is so helpful for me! Been wanting to try Sunday Riley for SO long but the price puts me off massively! You've featured some great tips in this post to help skin become 'summer ready'! Looking after our lips is so important and never more so than during summer... I'll never forget the year I burnt mine - eek! You are the first blogger that I've seen featuring the brand Clark's Botanicals! I received a sample of their moisturizer which has an amazing ingredient list but I have yet to try it. Drinking water is the best thing we can do for ourselves, it is not only good for the body and also keeps the skin so hydrated. Applying spf is one of the top priorities, especially in hot summer days. I totally agree with all your points!! SPF and water are such must dos! So many great products! Love Farfetch! Love these great tips. I need to mask more for sure. Love all the products! Thanks for your wonderful comment on Qing's Style Please always keep in touch, I would love to hear from you! I haven't tried any of these, but they look great! I need to try these, so fabulous! A great set of picks! I really want to try the micro exfoliating balm and I've heard alot about Luna Sunday Riley! Whenever skincare is involved I am there. And I am so loving these options.. some I've never heard of before. I especially love that SPF.2. Great post Raj. All of these look like very good skincare products! I love to take care of my skin and for that I am using loads of Clinique products, they work amazingly on my skin! Such great products. I'm actually a bigger fan of skincare products than makeup, so I love this list! 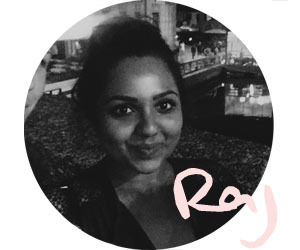 This was such a stunning post, Raj.... Loaded with great bunch of essential beauty and care informations. Totally loved the way you have written. All these products sound amazing. I definitely need one good facial moisturizer with SPF. Definitely saving this post. And thanks a ton for leaving me such wonderful kind words on my last post. Thank you always Dear. I had no idea they had a beauty section! Awesome! What a great round up beauty products. Some of these are already on my list to try. Thanks for sharing! Great post! Drinking water is soooo important. 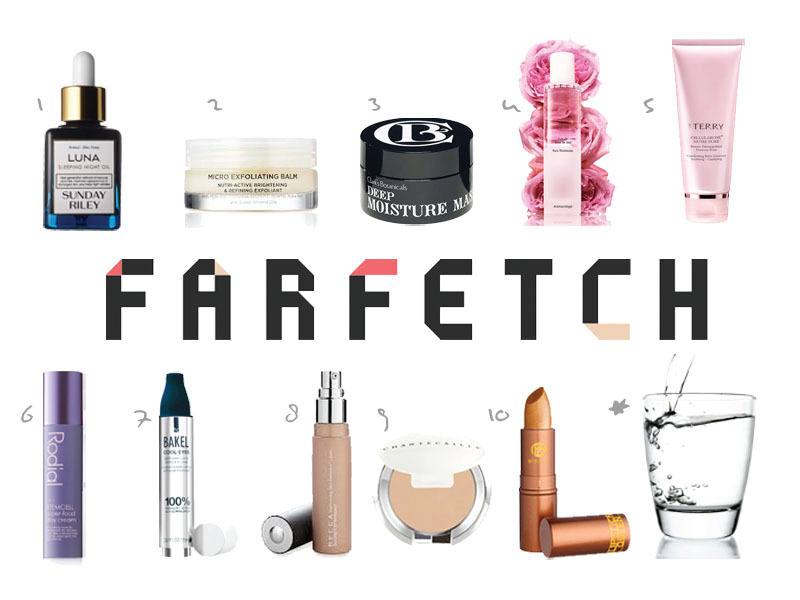 I didn't know farfetch has a beauty section now. Need to check out! Ever since I started drinking more water my skin looked so much healthier! Great post dear! I really want to try all these products, they look great!